There has never before been a dependable way to attach things to modern standing seam metal roofs without jeopardizing the integrity of the system and violating warranties. Until Now . . . Introducing S-5! : Patented hardware technology that makes these attachments quick, simple, secure and as dependable as the roof systems they complement. S-5! 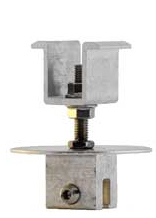 clamps attach to the panel seam by the tightening of two “bullet-nosed” stainless steel setscrews against the seam material. (This is usually done with an industrial grade screwgun.) The setscrews compress the seam material against the opposite wall of the clamp. They will “dimple” the seam material, but will not penetrate it. Threaded holes in the clamp (and stainless hardware provided) enable the easy attachment of various ancillary items to the clamps. The challenge has been in how to attach the PV modules to the standing seam roof systems without jeopardizing material and weather-tightness warranties. The answer is S-5-PV Kit and the S-5! Mini. The S-5-PV Kit mounts to any of our Mini clamps. The patented attachment clamp and round-point setscrews enable the entire installation without a single penetration through the standing seam metal roof’s surface. 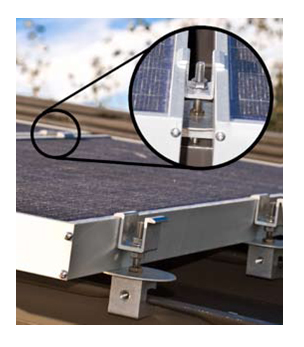 With the S-5-PV Kit and our Mini clamps, mounting a leak-free solar assembly is a quick and easy process. 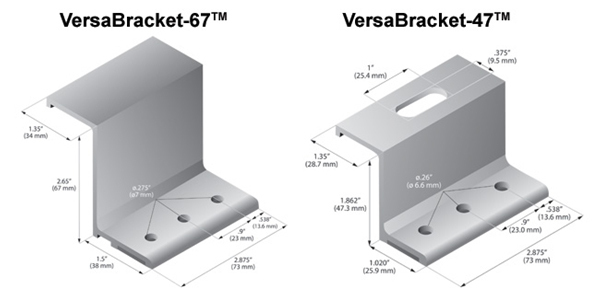 VersaBracket™ is compatible with almost any trapezoidal, face-fastened profile. VersaBracket™ can be used to mount virtually anything to a face-fastened roof system and is compatible with almost any trapezoidal, face-fastened profile. No messy sealants to apply! No chance for leaks! The VersaBracket™ comes with factory-applied sealant already in the base for a water-tight attachment. To accommodate various rib heights, VersaBracket™ comes in two heights—the 2.65″ VB-67 and the 1.86″ VB-47. The VB-67 mounting face has no holes or slots, thus, ancillary items are typically secured using self-tapping screws. The VB-47 offers various mounting face configurations with minimum purchase requirements. (Contact your distributor for available configurations.) Each VersaBracket™ comes with factory-applied butyl sealant in the base. 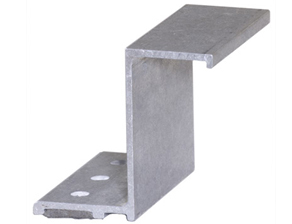 A structural aluminum attachment bracket, VersaBracket™ is compatible with most common metal roofing materials. For design assistance, ask your distributor, or use our web-based calculator for job-specific system engineering and design of your next snow retention project. Additional data, such as CAD details, metallurgical compatibilities and specifications, are available for download at the bottom of this page. The VersaBracket™ has been tested for load-to-failure results on wood decking, metal and wood purlins. We offer independent lab test data that can be used for load-critical designs and applications. S-5!™ holding strength is unmatched in the industry. The CorruBracket™: Strong, versatile, easy to install. CorruBracket™ can be used to mount virtually anything to corrugated metal roofing and its compatible with 7/8” and ¾” corrugated roofing. No messy sealants to apply! No chance for leaks! The CorruBracket™ comes with factory-applied sealant already in the base for a water-tight attachment. The only snow retention system good enough to be warranted for the life of the roof. Unlike other snow guards that yellow and fail over time, ColorGard’s unsurpassed holding strength controls snow migration with a perfect color-match that lasts the life of the roof. Learn more under ColorGard®. S-5!™ Warning! Please use this product responsibly! Products are protected by multiple U.S. and foreign patents. Visit the website at www.S-5.com for complete information on patents and trademarks. 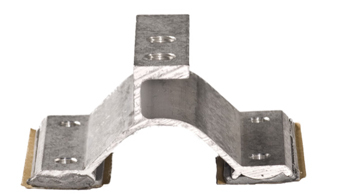 For maximum holding strength, setscrews should be tensioned and re-tensioned as the seam material compresses. Clamp setscrew tension should be verified using a calibrated torque wrench between 160 and 180 inch pounds when used on 22ga steel and between 130 and 150 inch pounds for all other metals and thinner gauges of steel. Consult the S-5!™ website at www.S-5.com for published data regarding holding strength. 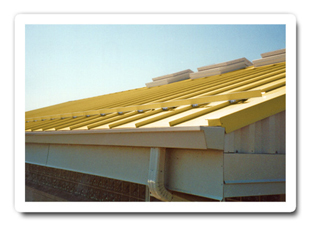 Copyright 2008, Metal Roof Innovations, Ltd. S-5!™ products are patented by Metal Roof Innovations, Ltd.